Oldham Way Challenge Oldham Way Challenge certificates awarded to all those who took part, and celebratory picture taken. Those involved – who have not already done so, to bring in sponsor money. 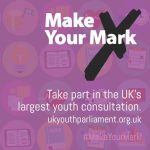 Make Your Mark A Nationwide campaign, run by UK Youth parliament, that gathers information on what is important to the youth of the United Kingdom. Update given from all youth councillors present about what is going on in each of their schools and the amount of progress made. So far, Andrew Shillito is the only person to have brought in ballots. Less than 2 and 1/2 weeks to go, all youth councillors NEED to collect ballots! Kerrching Health Commissioning Grants. Given to Kooth – Online Mental Health Service. Remaining money to be further commissioned into various projects with health related outcomes/focus and aim. Return of the commissioning wheel. Ideas: Childhood Obesity/ Substance Misuse/Legal Highs to be combated. Jodie to speak to representatives about Legal Highs. Further movement to be discussed at next Health Board Meeting. GM Assembly Youth Assembly will be occurring in Salford on Tuesday 22nd September at 6pm till 8.15, regarding youth voice to be represented in a devolved Greater Manchester. Will be able to find out more about a devolved GM. Interest shown by – Jade, Andrew, Amber, Ge, Saadiqah, Lydia, TJay and Marouf (Maybe). Christmas Tree Festival OYC Oldham Youth Council to take part in Christmas Tree Festival at Oldham Parish Church. Brainstorming of ideas occurred. Agreed to have an “ILoveMe” theme to represent youth council campaigns as well as YC’ers themselves. (Quotes, pictures, personalised baubles, purple monkeys, hearts.) To make decorations and to plan. To increase awareness of what bullying is, the definition of bullying. Barrier Breakers are also working on making a video regarding bullying related to Autism. Peace Day Event Saturday 19th September. Oldham’s Peace Day Event. Would like YC’ers to help out at the event. 1pm till 4pm. Scripted Speech to be done by TJay. Others to attend: Jade, Nayema. 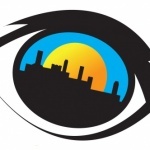 AOB – Motion To Full CouncilOYC have constitutional rights to ask Council to make changes in Oldham. They do this formally by attending a full council meeting and putting a motion to full council.... More Feedback Andrew presented the youth councillors with feedback he had received from people regarding the Mosquito Device and found others who felt quite passionate about it as well. TJay informed the YC about motion going to overview and scrutiny. AOB – Sweets Anne from CAHMS presented the YC’ers with a box of chocolates as a thank you for getting involved with a survey regarding mental health services and access to services. YC’ers ate chocolate. Next: Next post: Want to become a Youth Councillor?